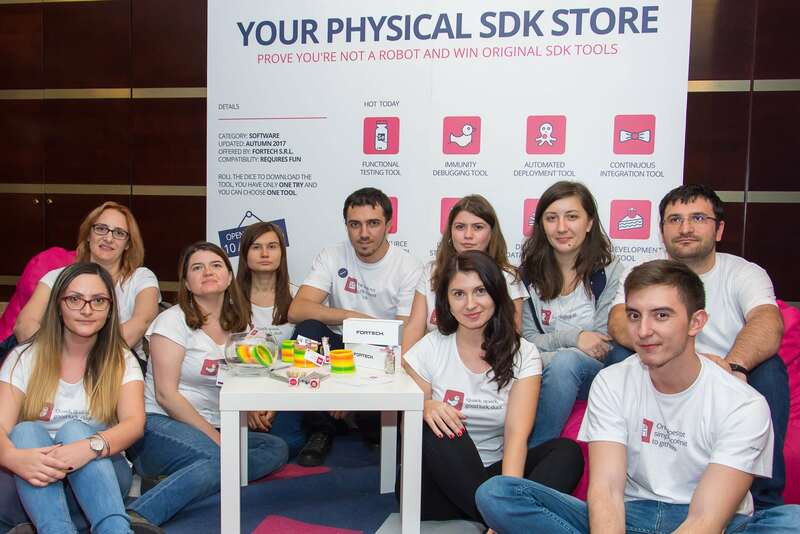 Fortech joined Codecamp Iasi this year again with a workshop on code dependency and a creative booth that attracted the attention of the participants. On 28th October Fortech was part of Codecamp Iasi as a Diamond Partner. Over 500 participants visited our booth, interacting with our colleagues and winning personalized prizes. 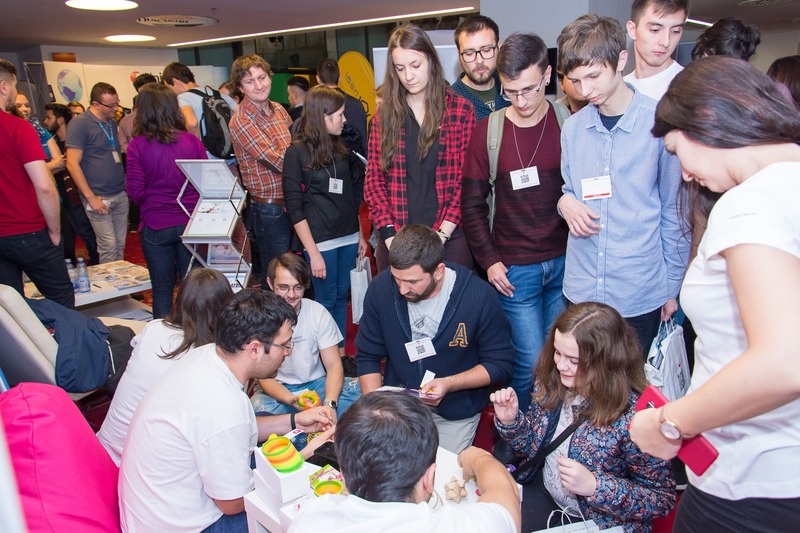 This year edition of Codecamp Iasi took place at International Hotel Iasi, gathering over 65 IT companies and communities and around 1.800 participants. From enthusiastic students to senior IT professionals, all were interested in the latest trends in technology, attending workshops and masterclasses. The organizers prepared a full agenda, that covered several parallel tracks of topics around Java, .NET, Agile, C#, IoT, Project Management or work-life balance tips. One of our senior software engineer, Irina, held a presentation regarding the dependency injection concept, developing the subject from its beginnings till nowadays, bringing examples and making parallels with real-life situations. “This was a great session. For me, a beginner programmer. I found it great that I understood the concepts presented, even though they were advanced. I want to congratulate the speaker for creating a way for us, juniors, to understand advanced concepts through real-world analogies” (workshop attendee at Irina’s presentation – Know your Dependency). Lukas Eder, known in Java Community for designing the popular ‘jOOQ’ database access library, held an intense masterclass of two days, before the conference. Even though is Fortech’s third presence at Codecamp Iasi, it’s always a great experience and we are looking forward to the next edition. Started back in 2008, Codecamp Romania becomes one of the largest IT conferences in Romania, hosting events in 10 cities, reuniting 300+ speakers and 8.000+ participants every year. Its purpose is to generate interaction among the local IT community and to keeping it abreast of industry trends in software outsourcing.